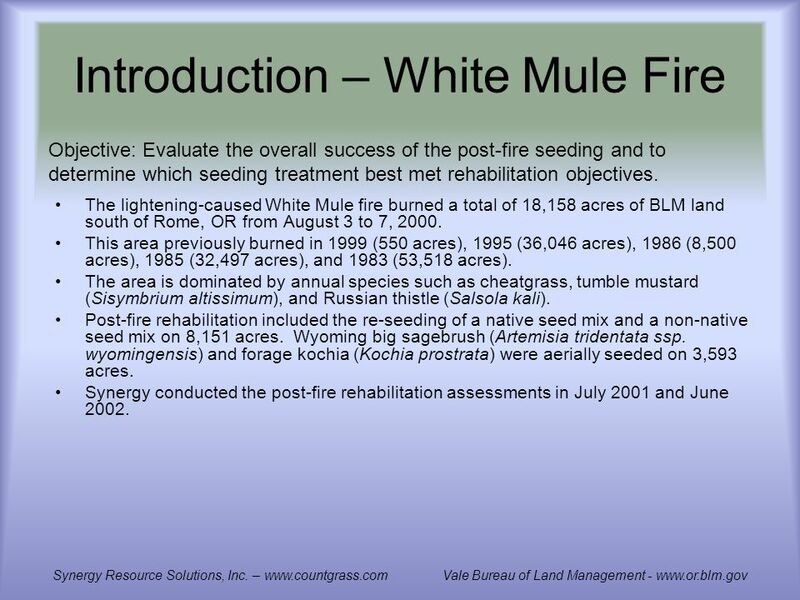 ASSESSMENT OF EMERGENCY FIRE REHABILITATION OF FOUR FIRES FROM THE 2000 FIRE SEASON ON THE VALE, OREGON BLM DISTRICT Jack D. Alexander III 1, Brenda K.
5 Introduction – White Mule Fire The lightening-caused White Mule fire burned a total of 18,158 acres of BLM land south of Rome, OR from August 3 to 7, 2000. 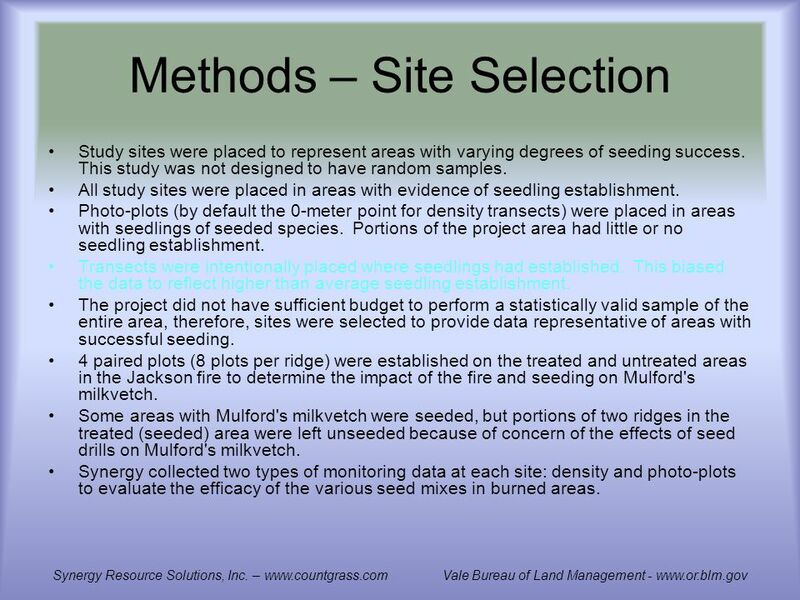 This area previously burned in 1999 (550 acres), 1995 (36,046 acres), 1986 (8,500 acres), 1985 (32,497 acres), and 1983 (53,518 acres). 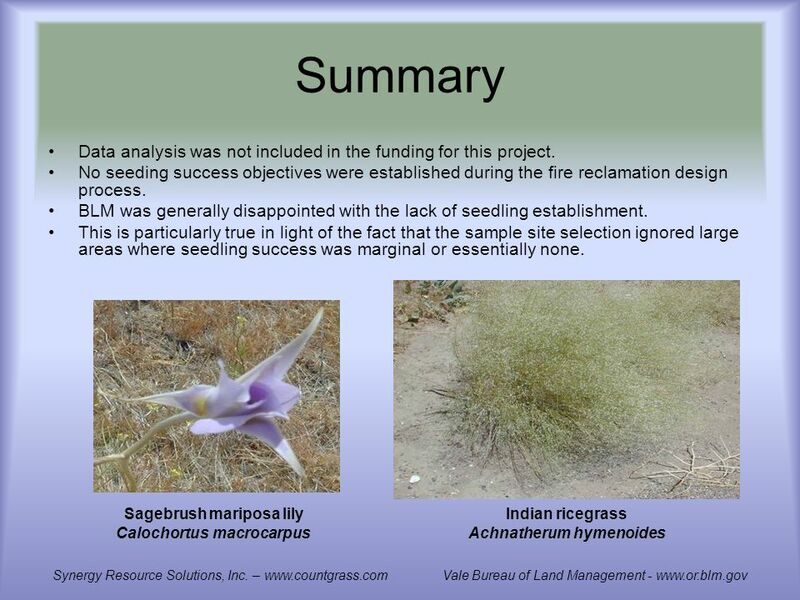 The area is dominated by annual species such as cheatgrass, tumble mustard (Sisymbrium altissimum), and Russian thistle (Salsola kali). 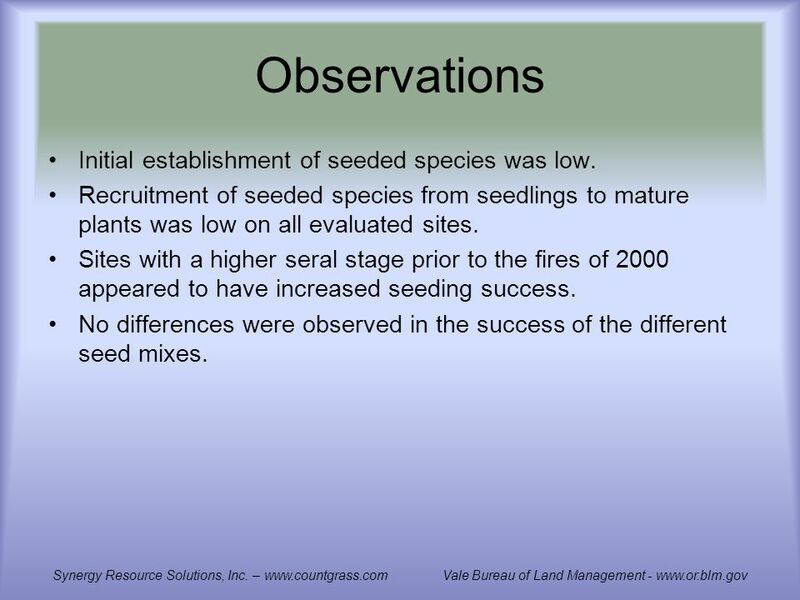 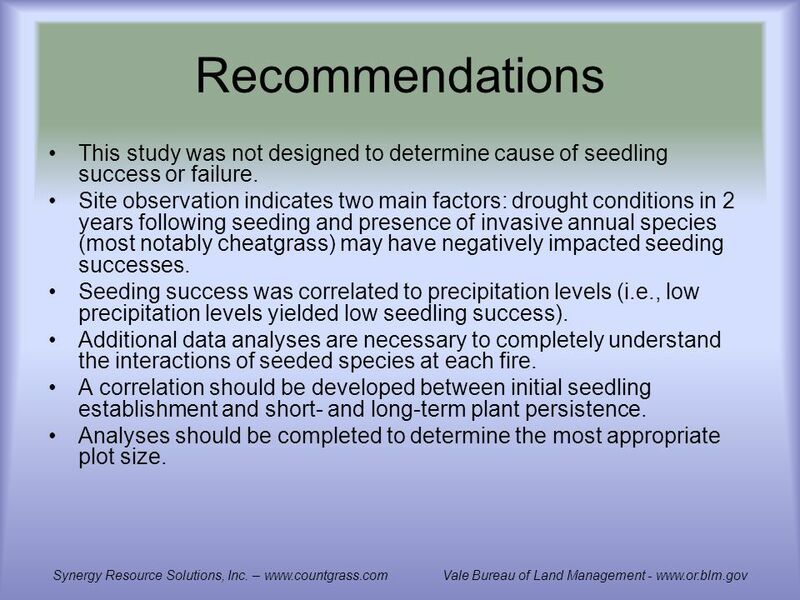 Post-fire rehabilitation included the re-seeding of a native seed mix and a non-native seed mix on 8,151 acres. 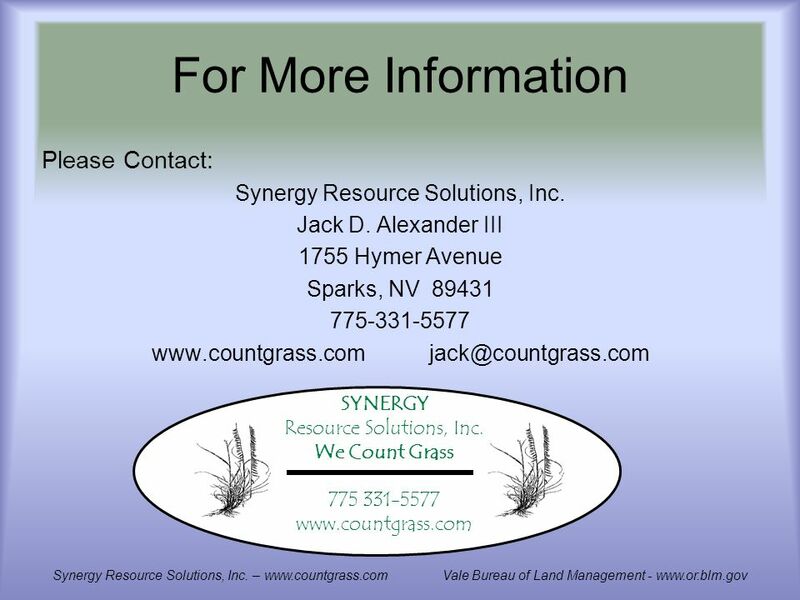 Wyoming big sagebrush (Artemisia tridentata ssp. 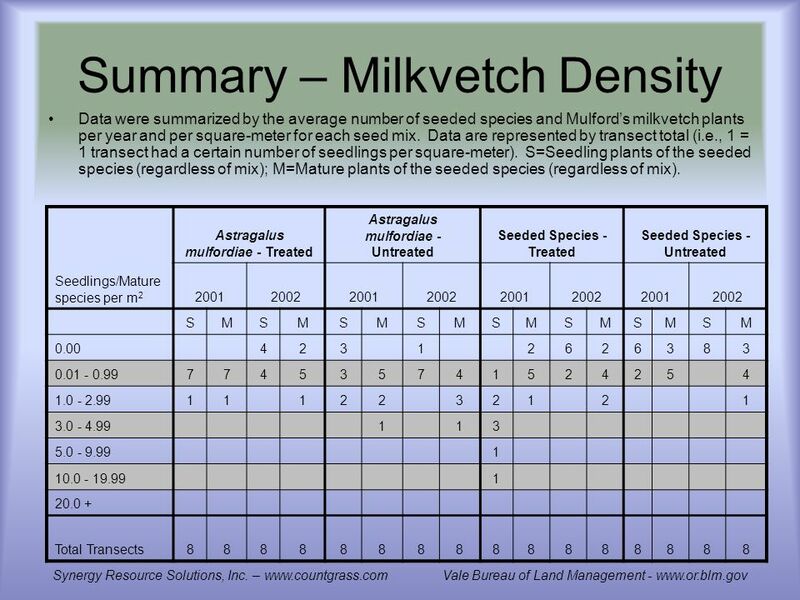 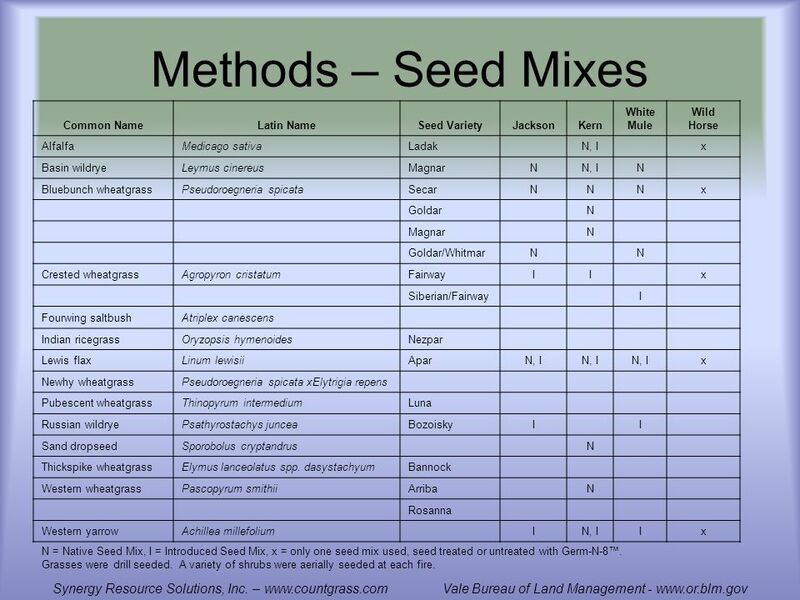 wyomingensis) and forage kochia (Kochia prostrata) were aerially seeded on 3,593 acres. 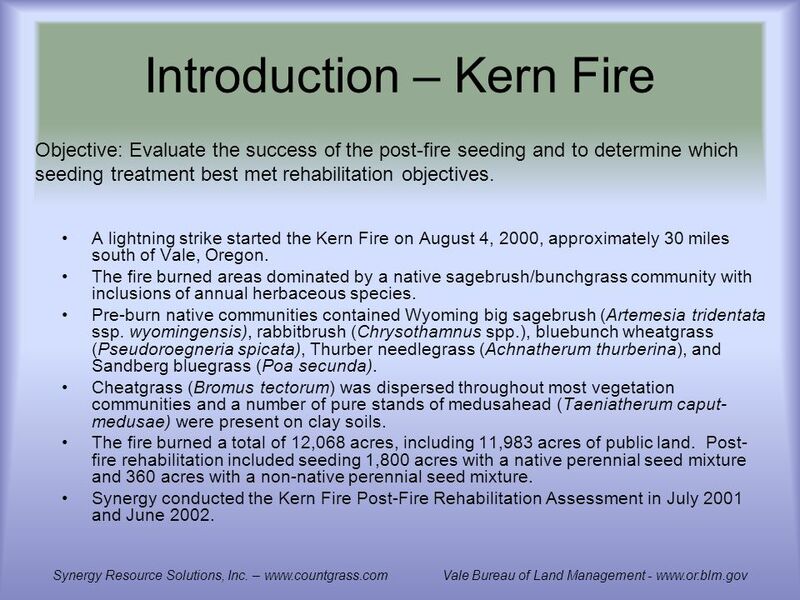 Synergy conducted the post-fire rehabilitation assessments in July 2001 and June 2002. 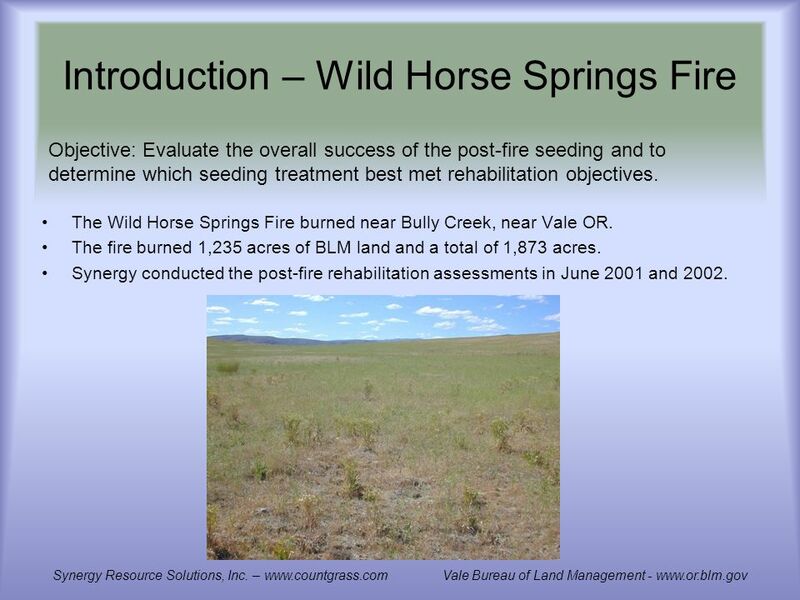 Synergy Resource Solutions, Inc. – www.countgrass.com Vale Bureau of Land Management - www.or.blm.gov Objective: Evaluate the overall success of the post-fire seeding and to determine which seeding treatment best met rehabilitation objectives. 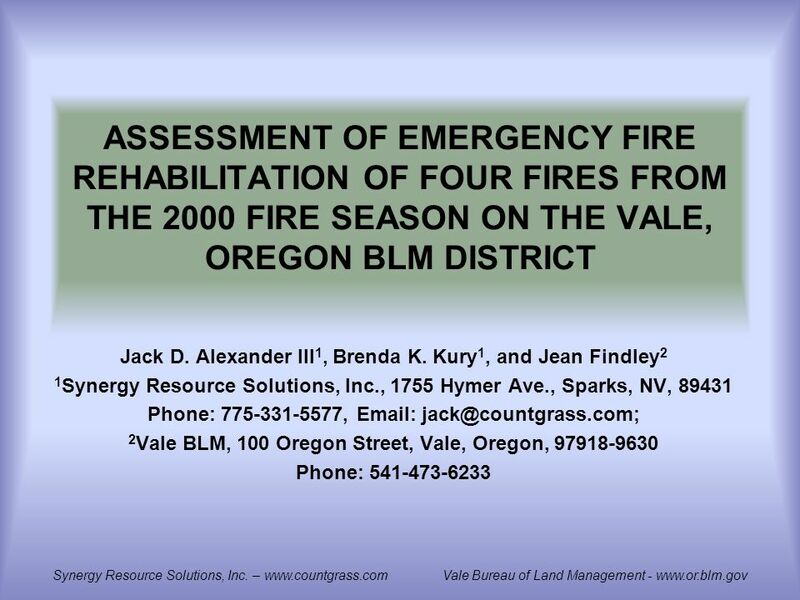 Download ppt "ASSESSMENT OF EMERGENCY FIRE REHABILITATION OF FOUR FIRES FROM THE 2000 FIRE SEASON ON THE VALE, OREGON BLM DISTRICT Jack D. Alexander III 1, Brenda K."
Young Stand Thinning & Diversity Study: Songbird Response Joan Hagar USGS – Forest & Rangeland Ecosystem Science Center. 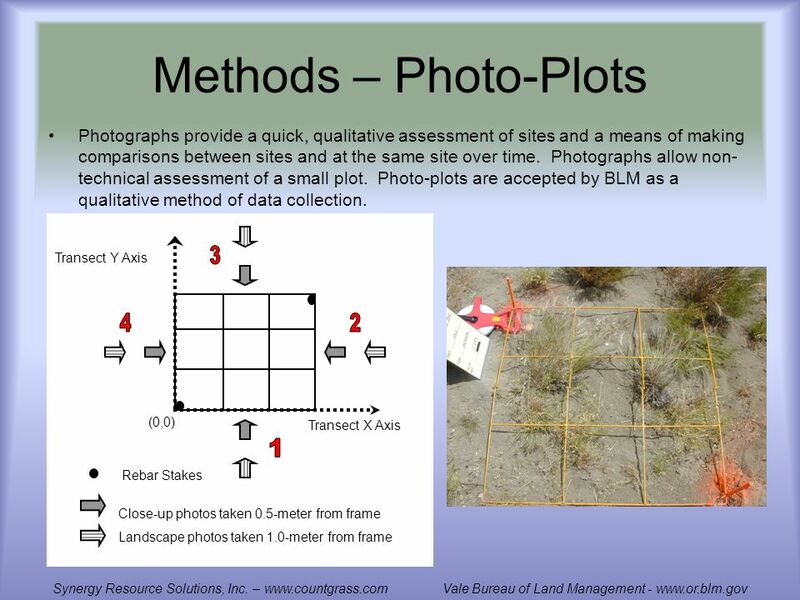 Pasture Plant Selection & Grazing Management T.C. 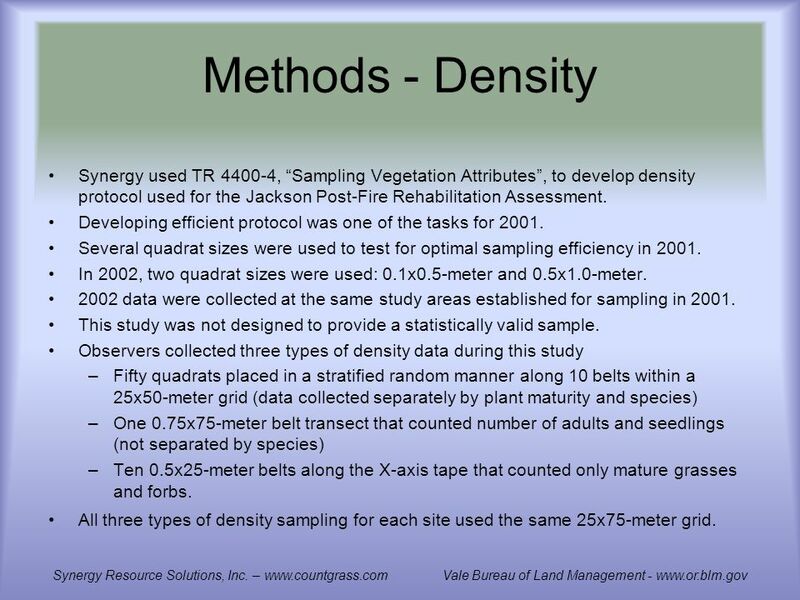 Griggs Dept. 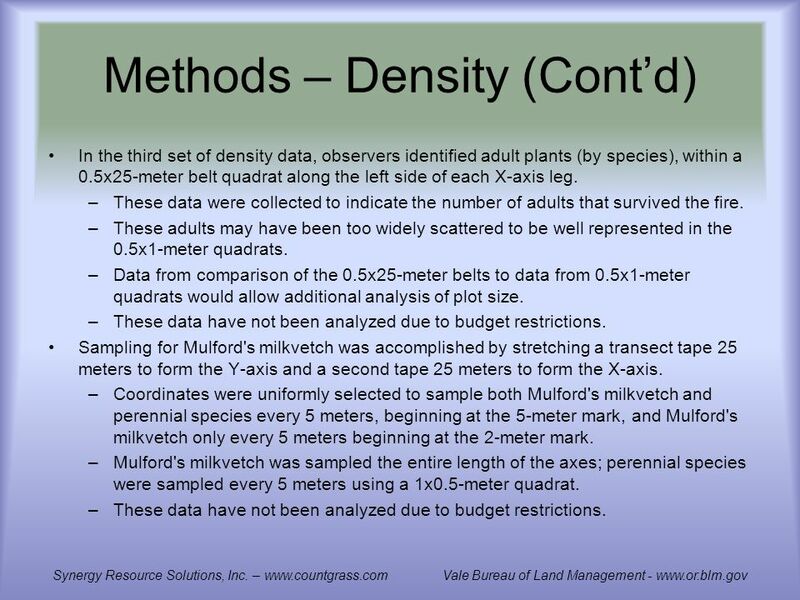 Plants, Soils, & Biometeorology. 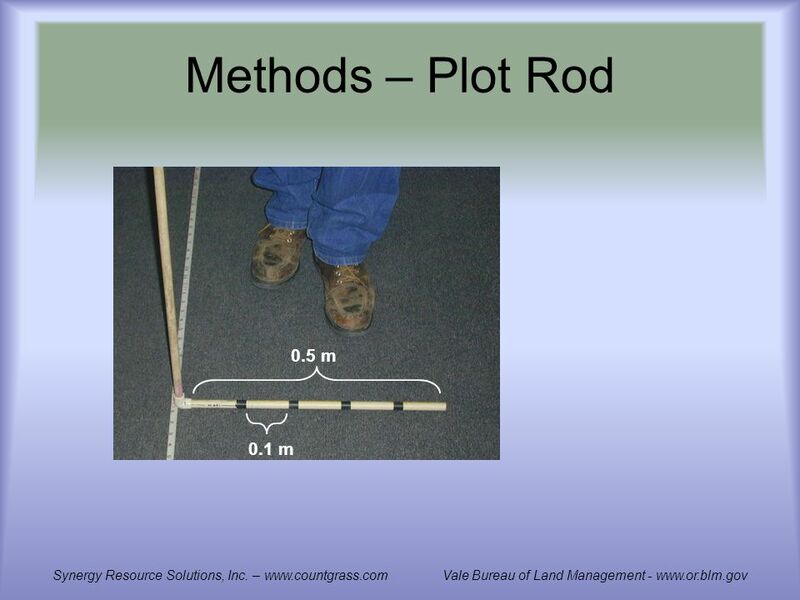 Test plans. 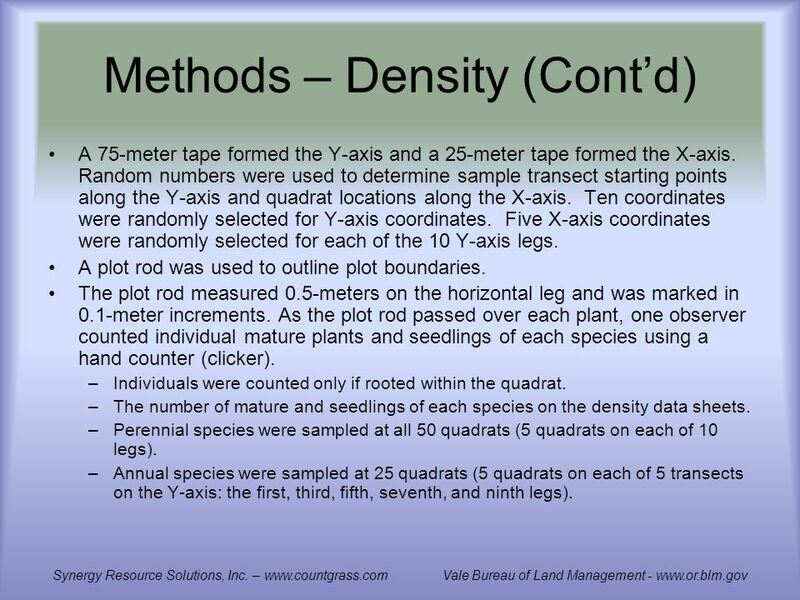 Test Plans A test plan states: What the items to be tested are At what level they will be tested What sequence they are to be tested in How. 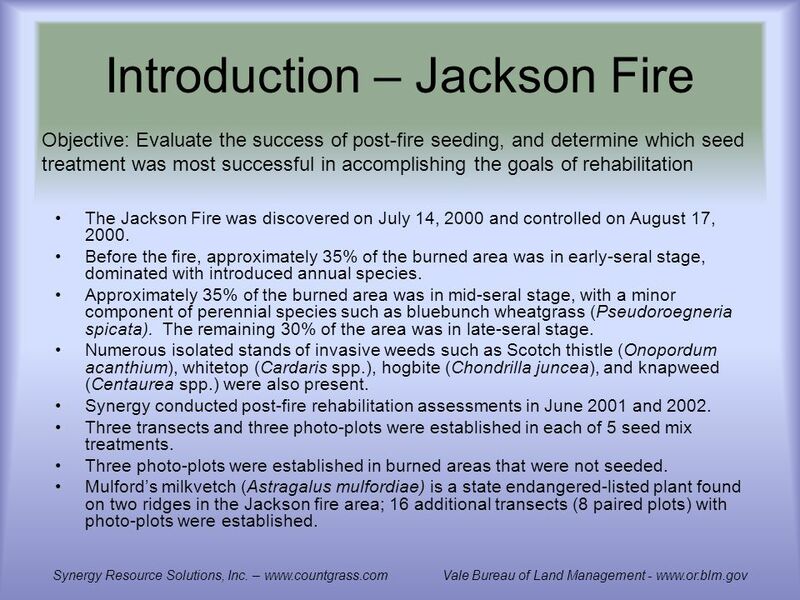 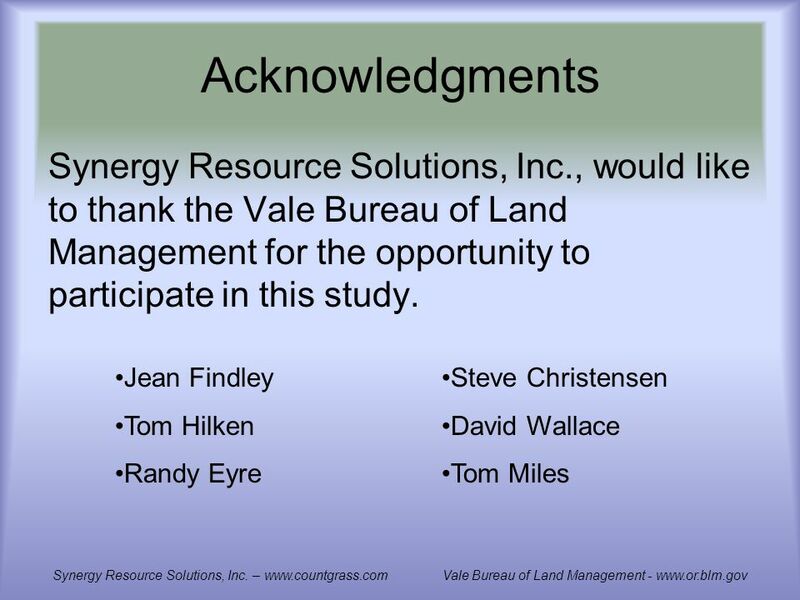 Through a PowerPoint presentation participants will have a broad understanding of the Nevada fire situation during August, 2006 thereby beginning the. 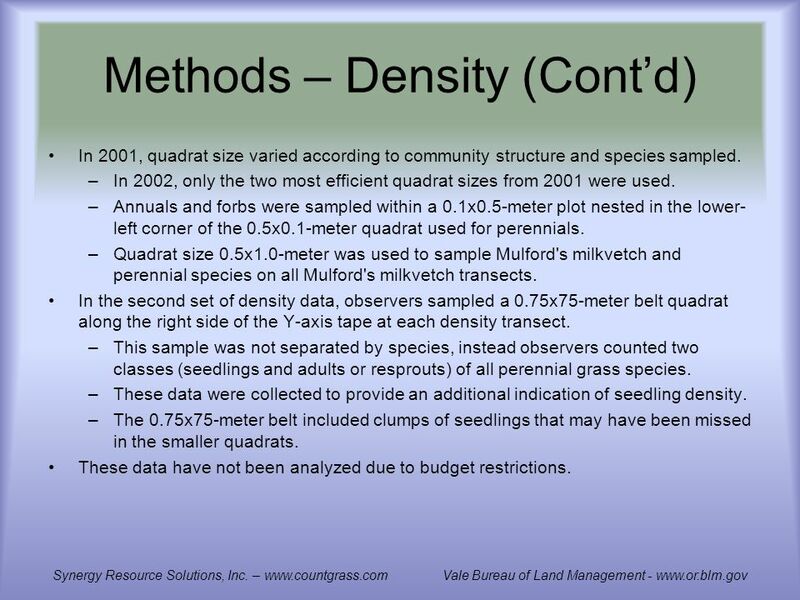 LOWER YUBA RIVER ACCORD Monitoring and Evaluation Program Redd Surveys Casey Campos PSMFC. 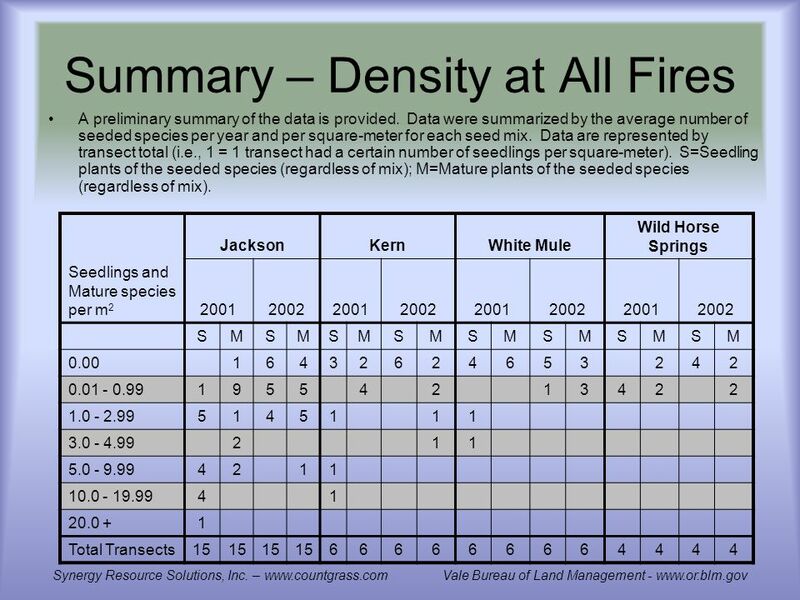 A Statistical Analysis of Seedlings Planted in the Encampment Forest Association By: Tony Nixon.